I grow oyster mushrooms at home and these are oyster mushrooms, just sliced up. They are super delicious and can be added to just about anything. These do not look like oyster mushrooms at all. They look like a trumpet type mushroom. I’m sure the dish is still excellent, but just wanted to point that out. 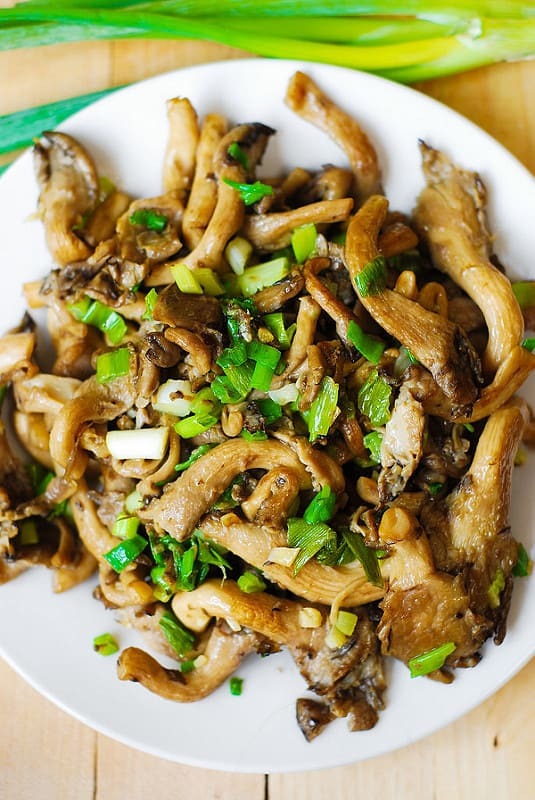 Their king oyster mushrooms… they look totally different from the regular oyster mushrooms. so simple yet such a delicacy. i like! I made this dish it was delicious. I added spinach and an asian sauce that I made. I’m craving it again already. Oyster mushrooms are wonderful! So why don’t I use them more often? Definitely should make this — thanks so much. Yum yum yum! I love oyster mushrooms but really don't use them enough! And with the green onions and garlic – what a simple but perfect dish!. Thank you! 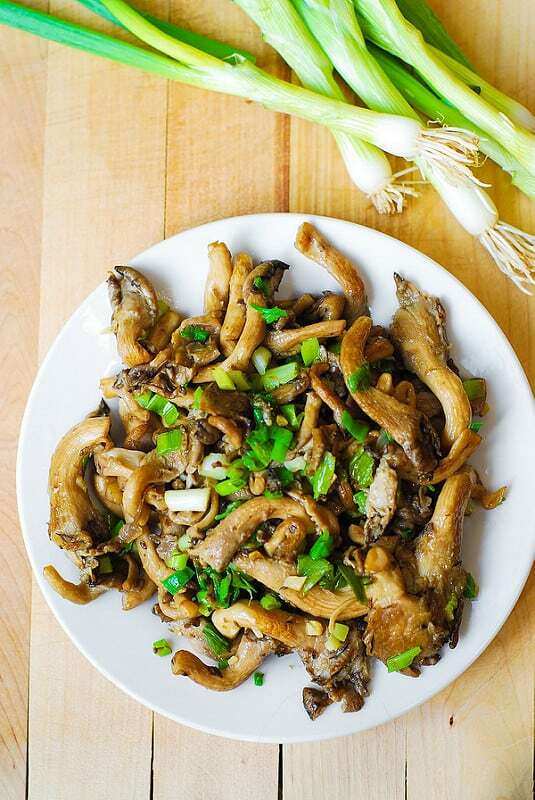 Oyster mushrooms are really very delicious! Garlic and some green onions makes them even better! Yum yum yum! 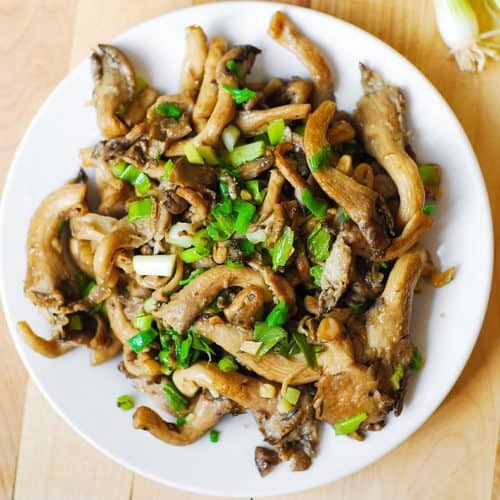 I love oyster mushrooms but really don’t use them enough! And with the green onions and garlic – what a simple but perfect dish! These mushrooms look delicious! 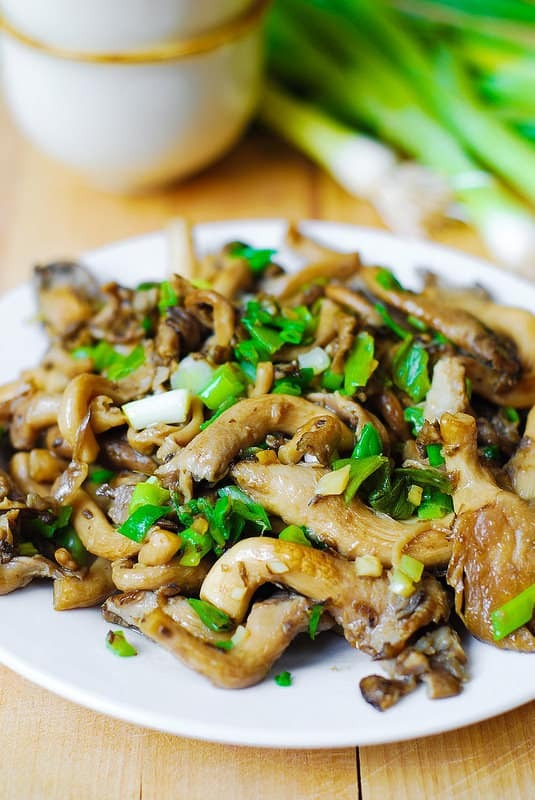 I love sauteed mushroom and the garlic makes them even more tasty. I could eat this as a meal all by themselves. I don’t cook with oyster mushrooms nearly enough. This dish looks fabulous! Wow! These oysters look so meaty! Beautiful dish!